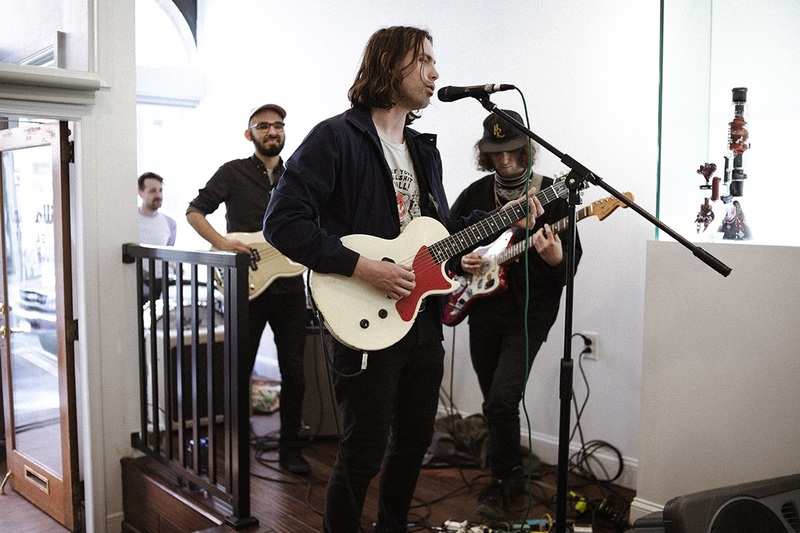 Cold Fronts made their perfect 4/20 come to life with the release of sophomore album ‘Fantasy du jour’ and a pop-up hometown show at Philadelphia’s Illadelph. It takes a real rock band to make even the oddest places feel like a stage. 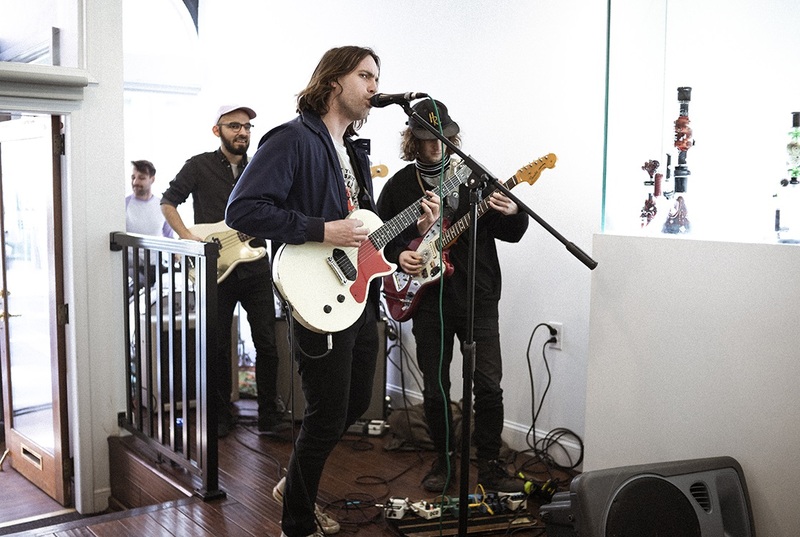 On 4/20, Philadelphia’s Cold Fronts released their second album Fantasy du jour (Sire Records) and appropriately picked Philadelphia’s Illadelph – a bong store – as the location for a pop up show mid-afternoon before they drove to New York for their record release show at Mercury Lounge. Fantasy du Jour has the rare ability of letting the band’s identity shine through every song despite lyrics not being extremely personal. 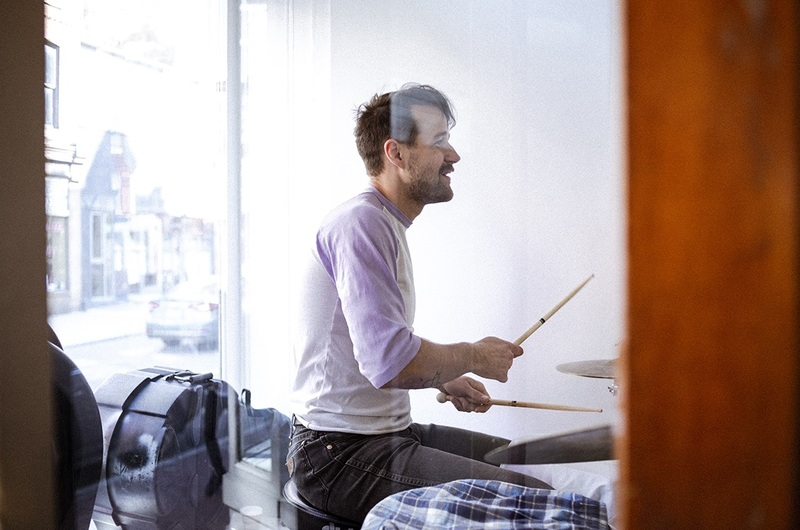 Cold Fronts are cool, chilled out guys who’d rather stay in and listen to some music than buy into the cliché rockstar lifestyle and party 24/7. 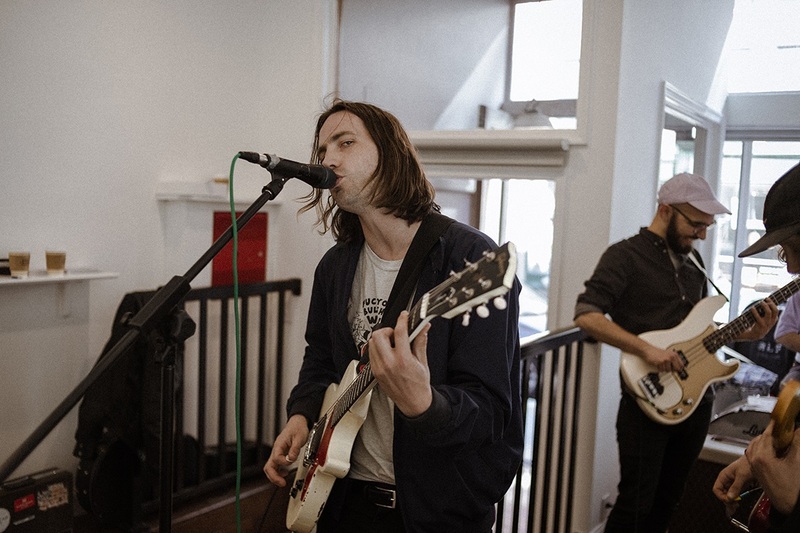 The album buzzes with energy and explodes with personality, with opener “This Always Happens” featuring a strong bass line, fuzzy guitars, and a nonchalant coolness worthy of a younger Alex Turner, “Stayin’ In” chronicling all the wonderful benefits of passing on the party everyone’s talking about and bleeding into the addictive “Killing Me”. “Let the Record Play” is dreamy and softer, while title track “Fantasy du jour” could easily be the song playing in the background of a prom scene in a movie set in the 60s. “Lightning Storm” is a short and sweet acoustic song that begs to be listened to at least twice. Closer “The World’s For Sale” is a delicious surprise. 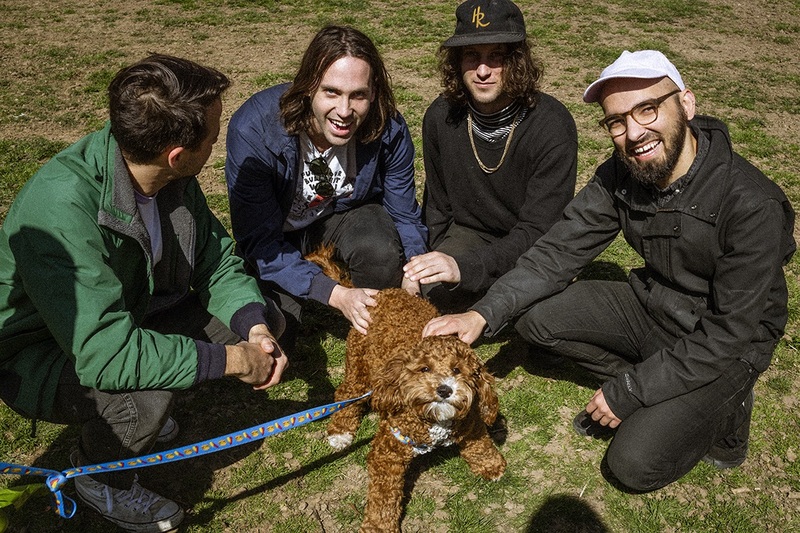 Fantasy du jour is Cold Fronts’ best work to date, it is cohesive and diverse, drawing from different eras in music history to create something that feels like it could only have been made in Philadelphia, in 2018, by these four guys. 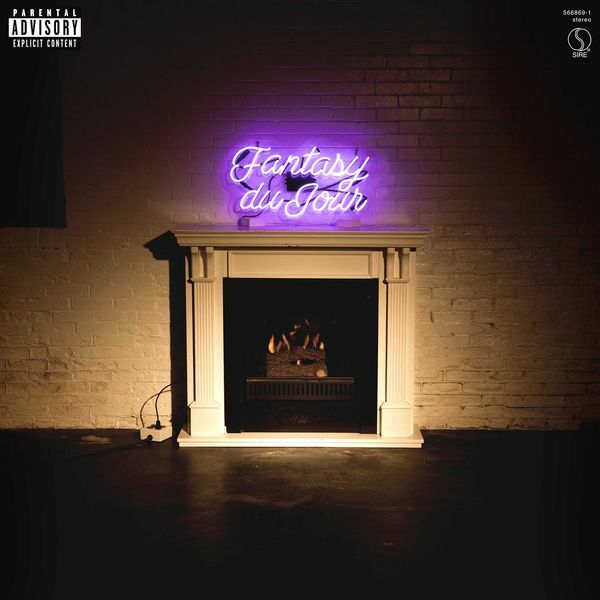 And while listening to Fantasy du jour is an extremely enjoyable experience, witnessing the songs live takes everything to the next, and much better, level. 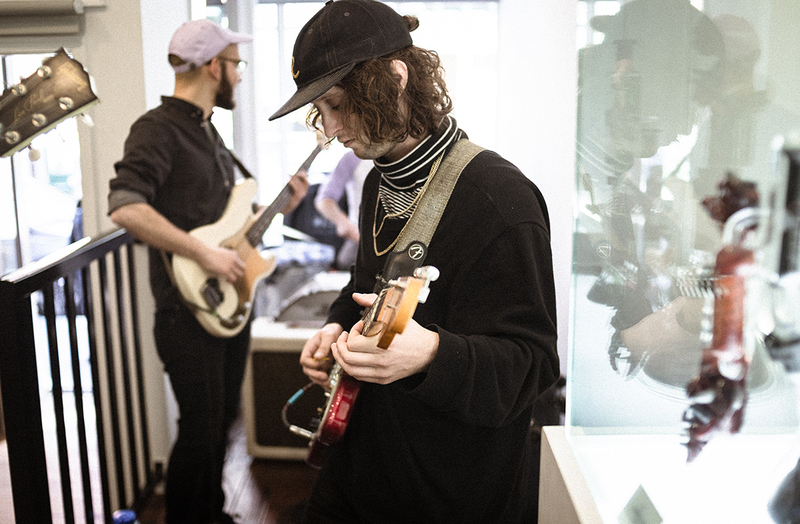 Though frontman Craig Almquist, drummer Joe Killian, bassist Alex Luquet, and guitarist Max Steen were bunched up in a tiny corner of Illadelph, they filled the store with their music and infectious and fun energy. During the 40 or so minutes of their set, the band celebrated “the best 4/20 ever” while showing all of those present just how great they are. No one seemed to question the less-than-usual venue selection, because everyone trusted that since it was Cold Fronts, the show would be worth it not matter where it was. The band adapted to the space so well that at times it felt almost natural to see Almquist singing inches away from an artisanal bong encased in glass that’s worth a few thousands of dollars. Even those who just passed by the store didn’t find it weird, a cop even stopped to dance to the songs for a few seconds. 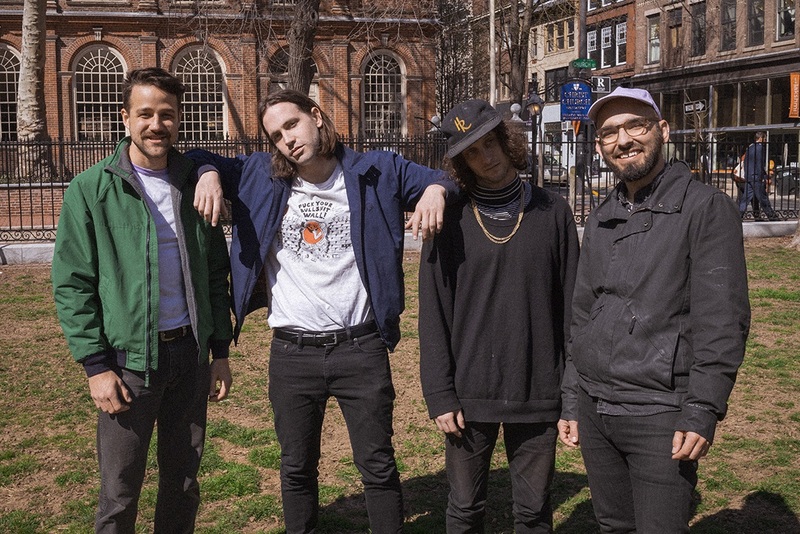 Though Almquist joked and referred to the pop-up show as a warmup for their later show in New York City, the band gave it their all and delivered spectacular work on all songs. The atmosphere in the room did feel relaxed, like a group of friends who got together to celebrate the band’s new milestone and important day. 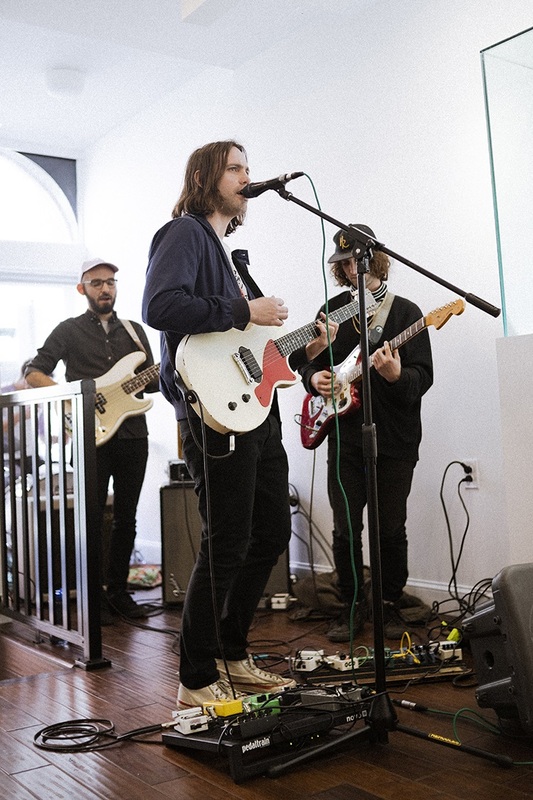 The band seemed ecstatic and extremely grateful to be halfway through what was shaping up to be a perfect day, a 04/20 filled with sunshine, a new Cold Fronts album, and two shows to honour that achievement. 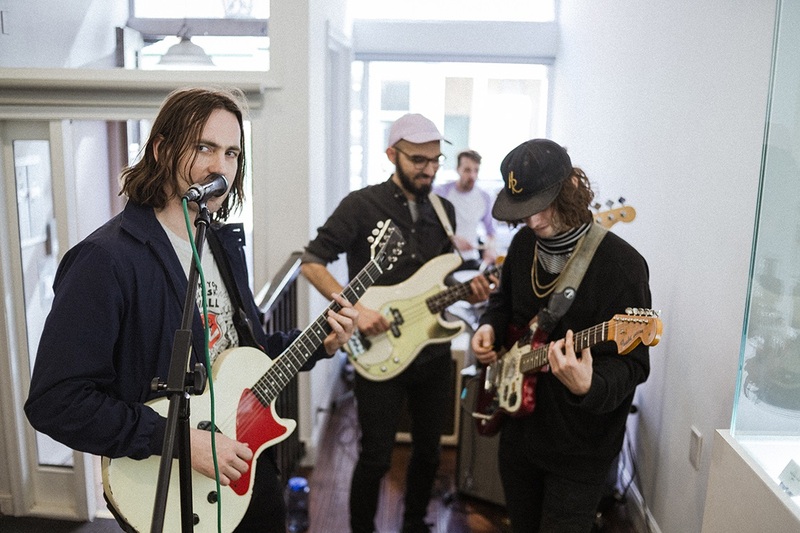 As for the audience, everyone was more than happy to be there, after all it’s impossible not to be happy at a Cold Fronts show.